I had a vegetarian friend who lived in the Hudson River Valley who was so excited to make an Italian recipe for me when I visited. “It’s amazing!” he gushed. “It has tons and tons of garlic...” ... !!! “Whoa, stop!” I said. And, you know the rest. He ended up making it for me, convincing himself that shallots would be just as good as garlic. And, in the end, they were! Aside from the shallots it had broccoli florets, lots of olive oil, and a few red pepper flakes served over farfalle with some Parmesan cheese. 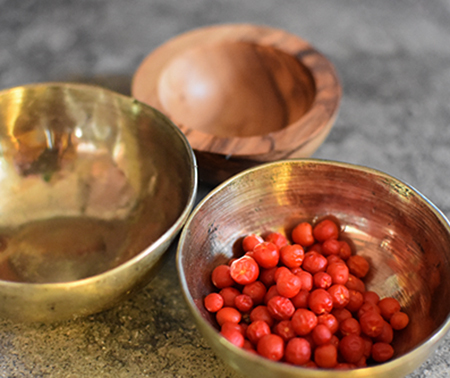 Years later, having become familiar with authentic uses of different pasta forms, I realized what he was using what was available locally to make a version of Orecchiette con Cime di Rapa. Neither cime di rapa nor orecchiette were available in small towns in New York. It was the 80s, after all. 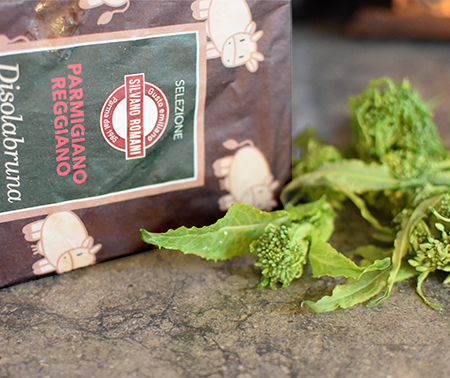 Cime di rapa – also known as broccoli rabe or rapini - is still hard to find now. 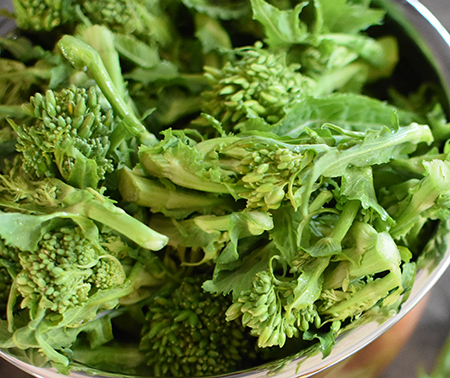 For years, when I have made this dish, I have simply used broccolini, which works fine. But whenever I see Cime di Rapa, I grab a bunch! Recently, the Cochise Family Farm stand at our market offered some, and I knew we were in for a treat. To go with it, we had some artisanal orecchiette from our friends Susan and Towny, home-cured pancetta (obviously, this is NOT the vegetarian version), lots of sweet shallots, homegrown chiltepins, and a chunk of incredible Parmigiano-Reggiano made from the milk of red cows, which was a gift brought from Italy by our friends Annamaria and Giuseppe. I haven’t spoken to my friend in the Hudson Valley for over 30 years... but I thank him every time I make this recipe. Trim the cime di rapa. Start by cutting off the florets and set them aside. Slice the stems no thicker than 1/4 inch thick. Set them aside, as well. Bring a large pot of well-salted water to a boil. Add the orecchiette and set the timer for three minutes prior to their finish time. For example, if they cook in 12 minutes, set the timer for 9 minutes. In a large skillet, heat the olive oil over medium-high heat and add the pancetta. When it has begun to render its fat, reduce the heat to medium and add the shallots and red pepper flakes. 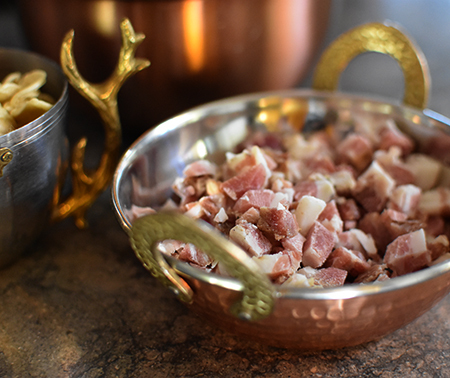 When the pancetta is golden and the shallots are clear, turn off the heat. When the orecchiette has cooked fully, use a spider to remove the pasta and cime di rapa; reserve 1 cup of the pasta water. Add the pasta and cime di rapa to the skillet with the pancetta and shallots, and toss to coat the pasta. Turn the heat to medium-high. When it’s hot, add enough pasta water - about 1/4 cup to start - to make a silky sauce. Ahhh, I missed the broccoletti! Thanks for catching that - I will update the post today! Yes, people are funny about bitter tastes - but they are missing out. This looks so simple and lovely. It is, Susan - both simple and yummy! I have never heard of rapini before- what a font of information you are, David! I am now referring to you as my "Italian Food Expert"! Fran - it’s a slightly bitter, mustardy green... and best then it has decent-sized florets. Often I mostly see a lot of greens. A delightful Sunday morning story and an appetizing pasta dish attendant. Shall probably use Chinese broccoli as the rabe is not always available here in the country either. May a very ignorant Aussie ask - what are chiltepins: yes, one can grow them, but . . . :) ? Chiltepins are an ancient form of capsicum that grow in our desert, Eha. It is said that it is the originating plant of almost all the peppers we eat, whether sweet or hot. We have several plants but red pepper flakes are a good choice for this dish. And so is the Chinese broccoli! One of my FAVORITES! 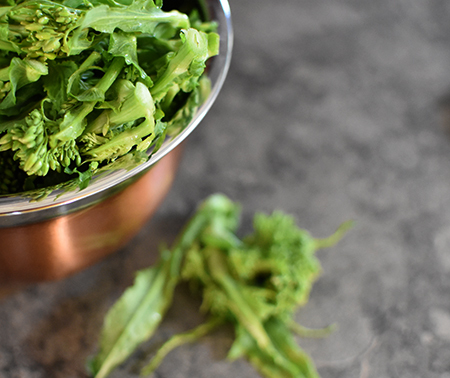 One popular way to make this is with fresh Italian sausage (crumbled) with the rapini. I don't think you can go wrong any way you make it! Now I'm hungry! The shalltos add such a lovely sweetness to the dish, Valentina. 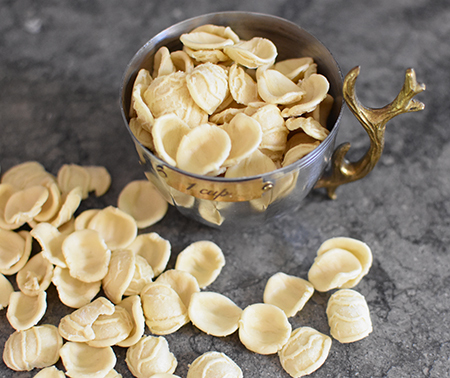 Orecchiette is a wonderful shape and so good for catching all the sauce! It's great when substitutions work out for the best and you end up creating a brand new better dish. Thanks, Emma - this is a favorite of ours to serve to vegetarian guests (minus the pancetta, of course)... and it is quite addictive! We make just enough for 2, lest we eat a recipe made for 4 or 6! Pick up the phone!!! I bet your friend would love to read this post! This is a beautiful dish. I’d also love cayenne pepper flakes sprinkled on top. I love it on broccoli... and on pasta. I was trying to explain the other day to someone who loves our local Italian restaurant that it’s really not Italian food, and nobody really gets it. So unless people make an effort to buy an Italian cookbook and/or go to Italy, they will continue to think that spaghetti is all that Italians eat. Sad. But, more for us! Thanks, Mimi. Oh, are we preaching to the choice. So few people know what actual Italian cuisine tastes like... and it’s sad when they get to Italy that they are disappointed because it doesn’t taste like the Olive Garden. Sheesh! The simplicity is the beauty of the cuisine - I just wish peopl would realize it! But you are right - more for us! 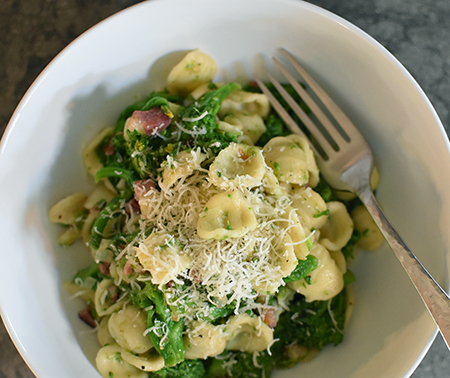 David, your Orecchiette con Cime di Rapa looks incredibly tasty. A lovely dish when honored the way you did. I love your image with the bright red colored chiltepins. Mimi is so right regarding what some people think is Italian food. Many "Italian" restaurants I've visited don't even come close to being the real Ideal. But then most Chinese restaurants don't either. That is so true, Ron - Chinese, Italian, Mexican, and even French. We, in the US, tend to overdo everything and make it unauthentic. 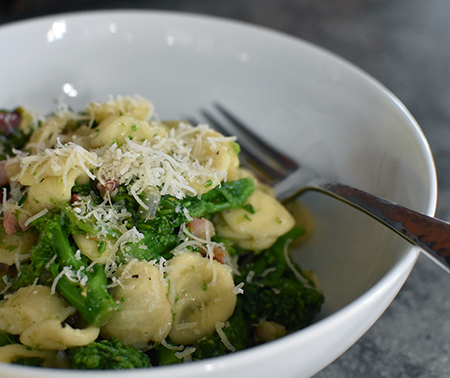 Glad you look the orecchiette - is rapini easy to find in Sweden? David, all of your lovely ingredients are making me drool over this dish! Thanks, Kelly! You are so sweet! It's interesting about dishes get adapted to local conditions, isn't it? And personal tastes/needs. I love this dish—it's one of our regular rotations, especially in the cooler months. 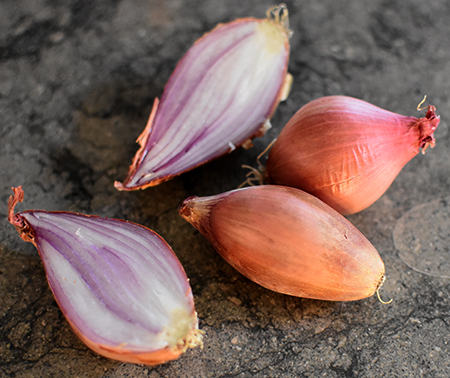 I want to try out your version made with shallots instead of garlic, and pancetta instead of anchovies. Sounds very nice indeed. And actually, farfalle sound like a fair substitute for orecchiette, even if they lack that pleasant chewiness I bet they catch the condimento pretty well. And I can’t wait to try your version with anchovies, Frank! That sounds wonderful! The farfalle worked well, as you imagined, but there is nothing like orecchiette! Thanks, Sonia! I love your blog, too - the rose halvah was beautiful but I couldn’t find a place to comment. I really must try it! 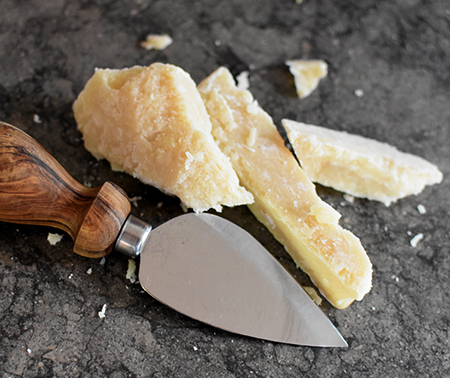 I love how you've used the cime de rapa in this, such a delicious sounding recipe! Thanks, Caroline - the tradition of cucina povera has really brought us so many wonderful Italian dishes. And - like this one - they are so tasty! 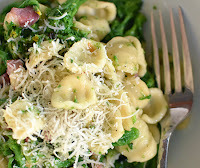 Dear David, Orecchiette con Cime di Rapa is one of my favorite Italian recipes. And, yes, even these days it can be a bit of a challenge to get my hands on delicious Orecchiette or Cima di Rapa, but I know it is worth the extra effort, every single time. Your version sounds delicious and looks stunning! And I love the story behind this blog post! Liebe Grüße an euch beide aus dem sonnigen Bonn! Vielen Dank, Andrea - I would have thought rapini would be much easier to find for you... but I am sad it is not! Hope you are all enjoy ing the sunshine! David, I have heard of broccoli rabe, but I've never eaten it! I'll be keeping and eye out for it at my store though. I love dishes like this one with just a few ingredients but a ton of flavor. Looks really good!! It has a good bite to it, Marcelle - I love it but some don't! I hope you can find some to try! Bitter greens and pasta are SUCH a nice combo. Love this dish, and it's been ages since I've made it. In the late 80s and early 90s I lived in the lower Hudson valley -- in Croton-on-Hudson. That was close enough to the big city that it was pretty easy to find cime di rapa back then. But really, in a pinch any dark green should work in this dish (won't have the same flavor, of course, but it'll be good). Good recipe -- thanks. Funny - I was so close to that area and never saw rapini, John! But maybe I wasn't looking in the right places! And, you are right - most dark greens work will with this! David, I love it when someone like your friend comes to find out that there IS life without garlic! This sounds sooo good, I've pinned it for future (near future) reference. Oh, how we suffer, Jean! :) It is really good with the shallots! Enjoy! You've rekindled my craving for orecchiette, David, and reading and seeing this recipe has prompted me to make it for dinner. I know I won't find rabe anywhere around here, but broccolini is almost always available. Thanks to a very kind friend, I still have some dried chiltepins in my spice cupboard ;) I may have to slip in a small clove of garlic, too! I think you will enjoy it with or without the garlic, John! And I love the chewiness of the orrechiette!